Hi, I'm Michelle and I'm from Singapore. I love travelling and travel a lot whenever I can. My travels are usually on a tight budget and I always try to source for the best deals for flights and accommodations. I document all my travel experiences on this blog, sharing my travel itineraries and tips. I've since graduated from university though I used to blog about university life in Singapore, sharing my experiences in school activities and academic matters. I am still keen to lend some help and share my past experience to prospective students. My daily grind involves talking and observing people to better understand their thought processes and behaviours. I am very passionate about Psychology, all things related to the human mind and behaviour, and have recently developed an interest in designing for behaviour change. This site receives approximately 10,000 unique hits from Singapore every month and has over 600,000 viewers since it was created. I have previously collaborated with Withlocals, ShopBack, and Gaston Luga. 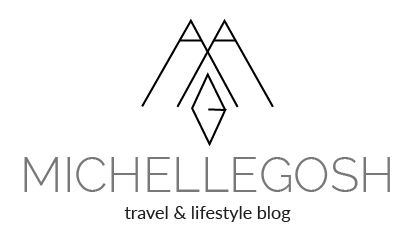 Drop me an email at hello@michellegosh.com if you're keen to collaborate.